Analysis of over 3,200 consumers in Brand Z’s study of Australia’s most valuable brands reveals that male-skewed brand offerings are forfeiting $5.4 billion every year. 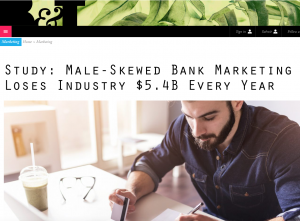 Untargeted products, services and marketing result in female under-subscription, particularly in longer-term borrowing and investments.Losses don’t only stem from lower levels of usage by women – men dislike what’s on offer too. New research conducted by Kantar Australia – Winning With Women – also finds it’s not just females who feel underserved.